Rebecca Michael is an associate in the firm's Commercial Finance Group. Ms. Michael represents financial institutions in documenting, negotiating, and performing due diligence for asset-based and cash-flow commercial finance transactions. Ms. Michael is admitted to practice law in Illinois. She received her law degree from the University of Michigan Law School in 2018. 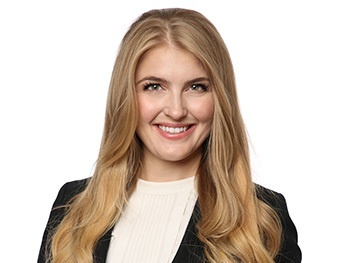 While attending law school, Ms. Michael was the President of Wolverine Street Law and an associate editor of the Michigan Business & Entrepreneurial Law Review from 2016-2017. Prior to attending law school, Ms. Michael worked for a legal and education focused startup company in Chicago, Illinois. She received her B.A. in Political Science from the University of Michigan in 2013.